Episode 4×03 “Brainless in Seattle, Part One” — Love is in the air after Liv (Rose McIver) eats the brains of a hopeless romantic, and she can’t stop herself from meddling in Clive’s (Malcolm Goodwin) relationship. Rahul Kohli, Aly Michalka and Robert Knepper also star. Michael Wale directed the episode written by Heather V. Regnier. 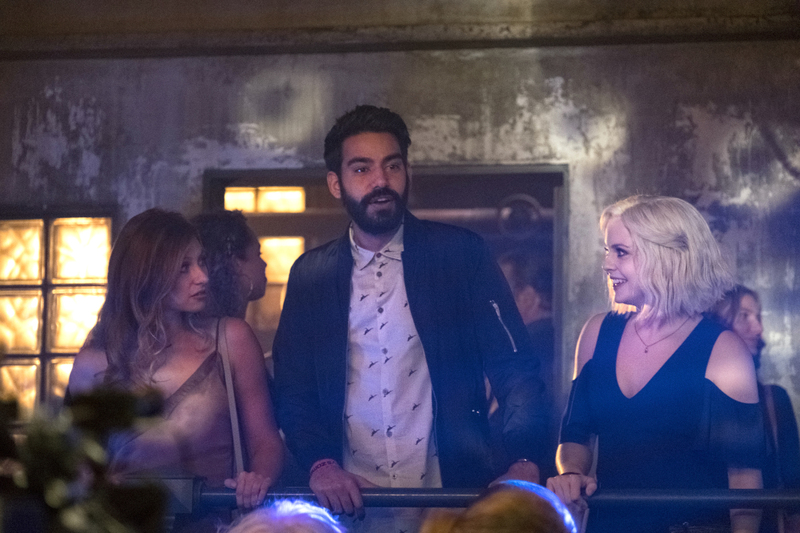 iZombie -- "Brainless in Seattle, Part 1" -- Image Number: ZMB403b_0022.jpg -- Pictured (L-R): Aly Michalka as Peyton, Rahul Kohli as Ravi and Rose McIver as Liv -- Photo: Michael Courtney/The CW -- ÃÂ© 2018 The CW Network, LLC. All Rights Reserved.